Lean Investing. Doing Less to Earn More. With most things in life, simpler is better. I’ve learned this is especially true in investing. It started out simple enough, it was the 80s and I was working at my first job out of college. I had a few dollars to invest so I purchased a mutual fund. It was the hottest fund at the time, The Fidelity Magellan fund managed by the infamous Peter Lynch. It was a few days before Black Monday one of the largest single day drops in US stock market history. I was off to a fabulous start. But I stuck with it. I added a small amount to the fund each month. Over time, I purchased other funds, international funds, bond funds, small-cap funds, mid-cap funds, over-the-counter funds. At some point I consolidated all these funds into a Fidelity Brokerage account. The brokerage account was very appealing to me. I could make stock purchases online and rollover retirement accounts into one place. I could shop in a mutual fund supermarket (Fidelity was one of the first brokerages to offer access to competitive mutual funds via a fund supermarket.) This made it easier to add even more variety to my portfolio funds with names like Pacific Tiger, The Clipper Fund, California Muni. I would look for funds highly rated by Morningstar. What could go wrong with a four-star rated fund? I was pretty much an investing genius. It was 1999. The bubble bursting in 2000 was a wake up call. I would continue to stick with investing, but I would need an even more diversified portfolio, loading up on more bond funds and international funds, as well as individual value stocks. I would follow a bulletproof portfolio philosophy and be highly diversified, adding real estate investment trusts, emerging markets and global bond funds. Online trading made tracking and adding all of these investments much easier. At one point, I owned over 30 different stocks and funds spread out across retirement and investment accounts. They were all with one broker, but it was a mess, hard to balance and even harder to fix. Not long before the global financial crisis in 2008, I also realized that many of these funds moved in the exact same direction, especially during a downturn. Through all my efforts, I had basically created a giant global index fund with one key point of difference — I was wasting thousands of dollars in annual mutual fund fees. As with everything else in my life, I needed to simplify. You can’t beat the market long-term. 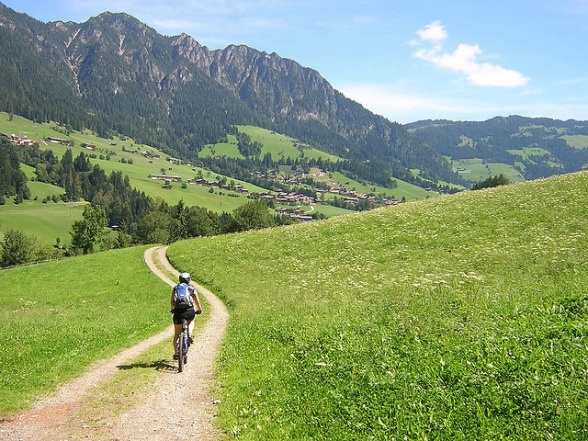 Low cost means funds with expense ratios of under 0.10%. I can promise you once you read his stock series, you will be sold on this approach. 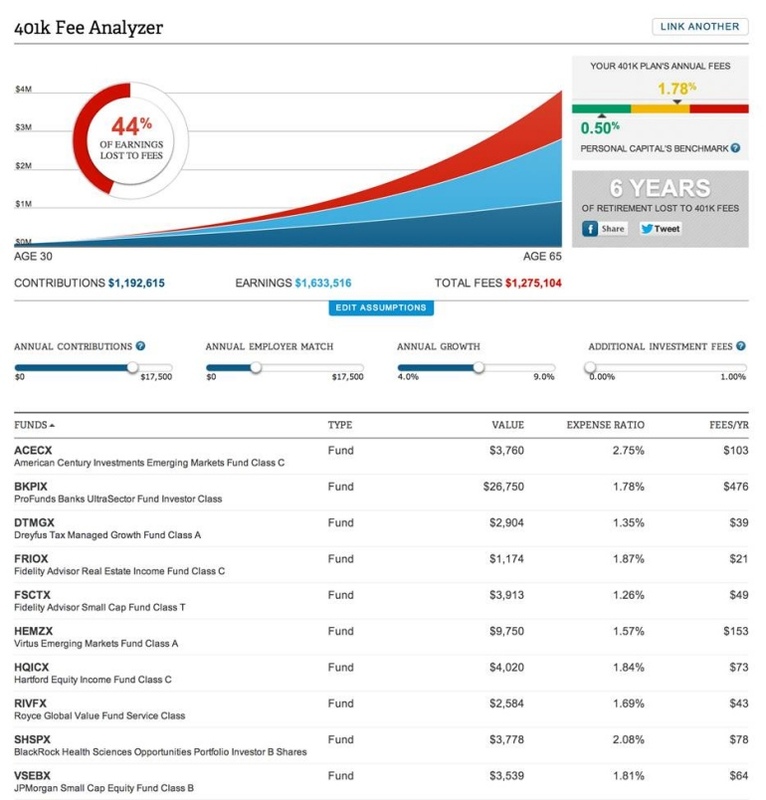 If you need more convincing, visit personalcapital.com and try out their free 401K fee analyzer. You will find. as I did, that some of the mutual funds in your account have fees that are 10,15 or 30 times what James Collins is recommending. How do high fees impact investments? Here is a sample for a 30-year-old active investor with a variety of widely traded mutual funds with fees ranging from 1.35% to 2.75%. Here’s the shocker, this investor will lose 44% of his earnings to fees from now to his retirement age at 65. If you want to do a quick check of your funds fees, you can also use Google Finance. Just type in the symbol of any mutual fund you own and scroll down to key statistics you will see both expense ratios and management fees. If you’re a 30-year-old investor, you can thank me later after you’ve saved hundreds of thousands on fees over the course of your investing life. I found one of the added benefits to be less worry about picking a dog stock or a dog fund, and more free time through simplification. So here’s my quick recommendation for simplifying your investing life. Read the The Stock Series by James Collins. You can just start with the first five posts and get most of what I’ve discussed here. Get a handle on what you’re paying in fees. You can use the free automated tool at personalcapital.com or go the manual route using Google finance to look up individual funds. Make a plan to move money out of the funds in 401K accounts with the highest fees first. Buy and hold, avoid trying to time the market. Not sold on this approach. 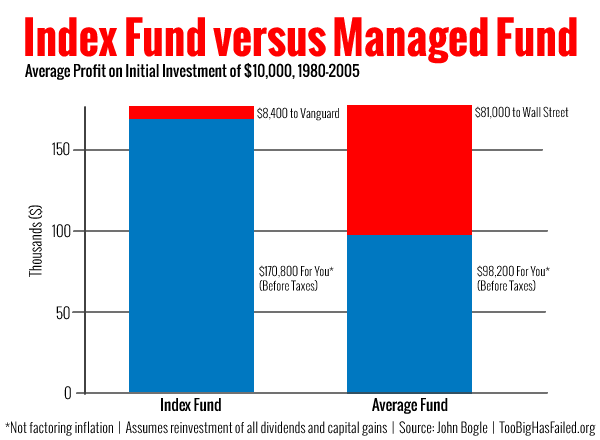 I’ll drop in one simple chart from John Bogle.